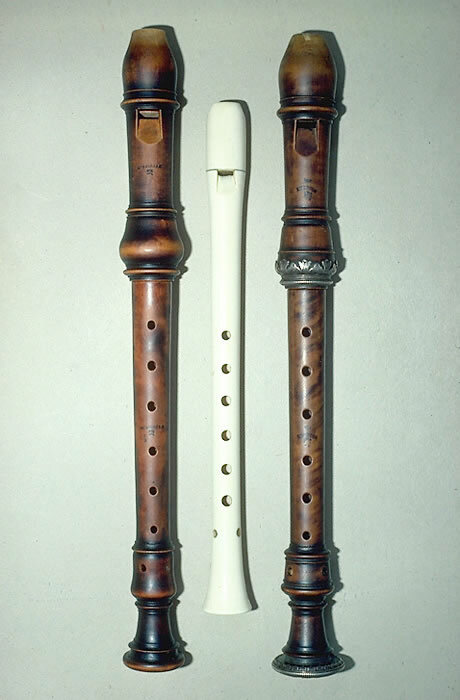 Perosa Ivory Sopranino in ivory made in two pieces at around A410 in the private collection of Guido Klemisch Guido Klemisch makes a copy of this instrument as a soprano at A415 in three pieces. Listed by Bruce Haynes, the only other known instrument by the maker Perosa is a soprano at A410 in Vienna. 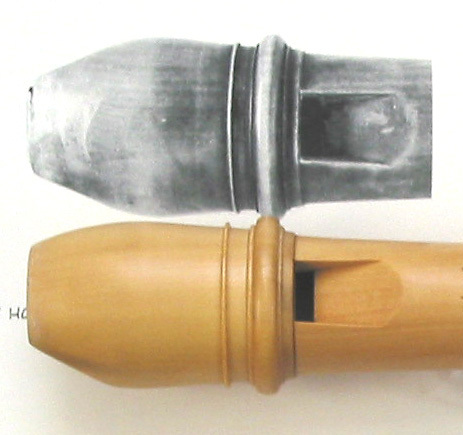 Dan Laurin has played on this original instrument and states that it actually plays at A415. 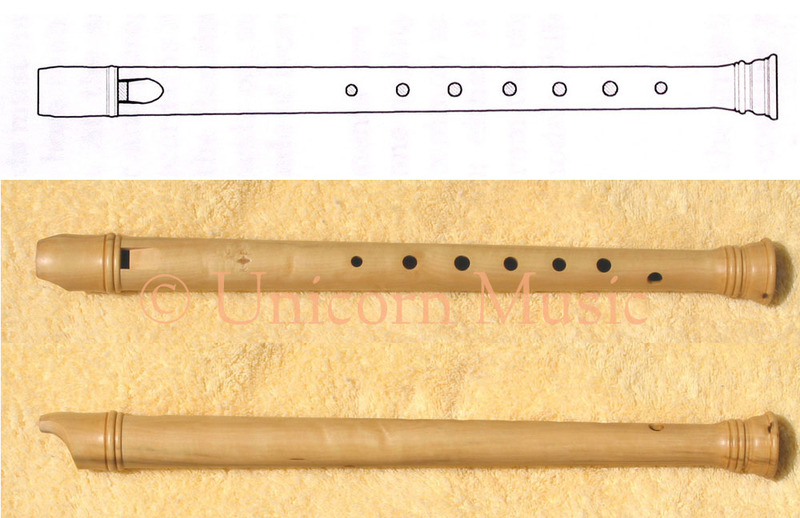 Note that hole 7 (of the sopranino) is in a straight line with the other holes and cannot be adjusted, as the instrument is made in two pieces. 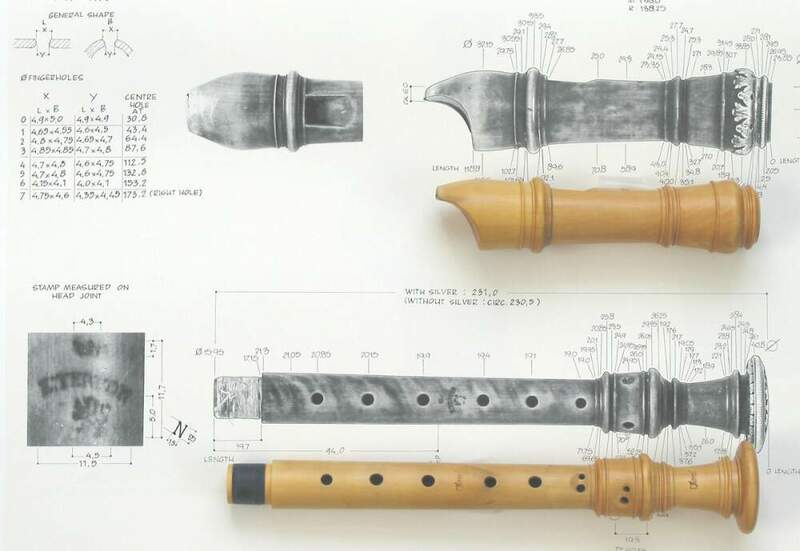 The soprano copy does not have this problem, as it is in three pieces. 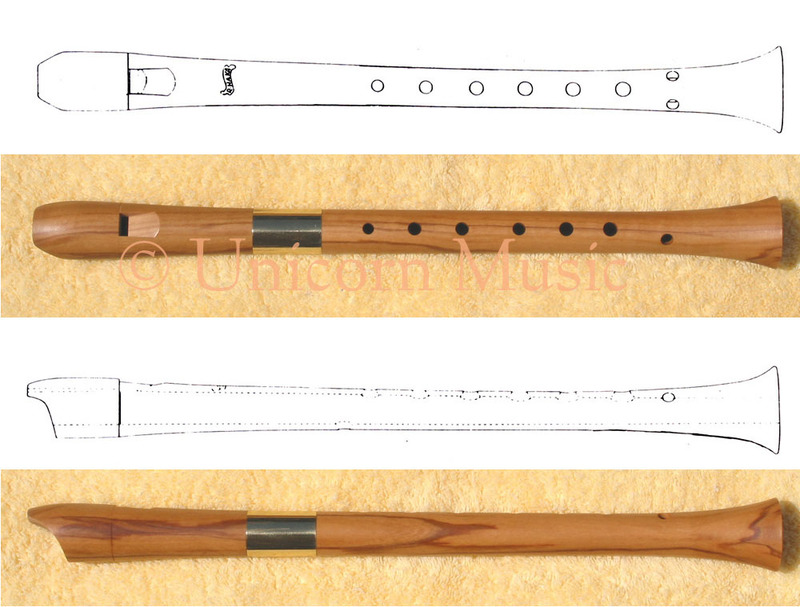 Bressan 4th Flute, Oxford - stained boxwood. 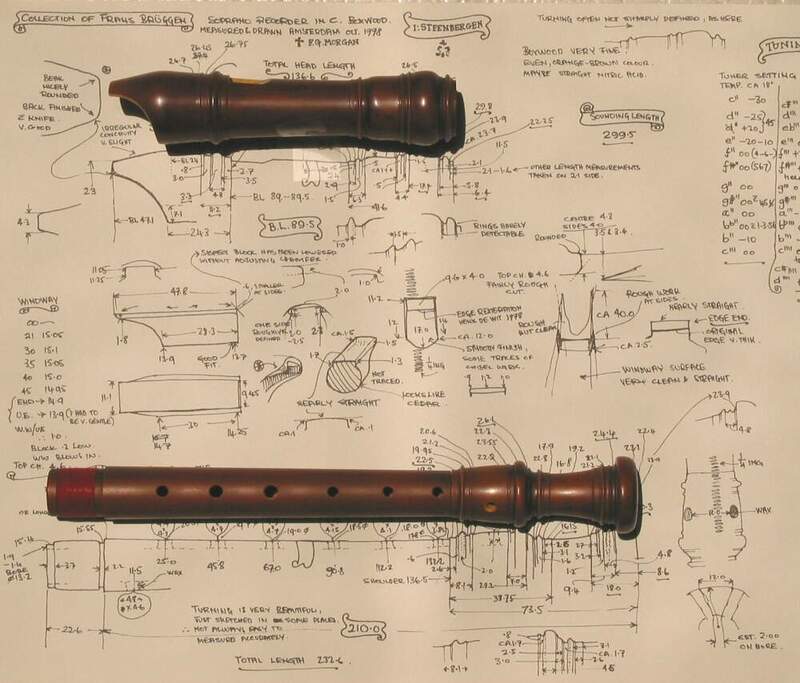 Ralf Ehlert The 4th flute is a soprano in Bb, useful for some Dieupart suites and other French flute suites in flat keys. 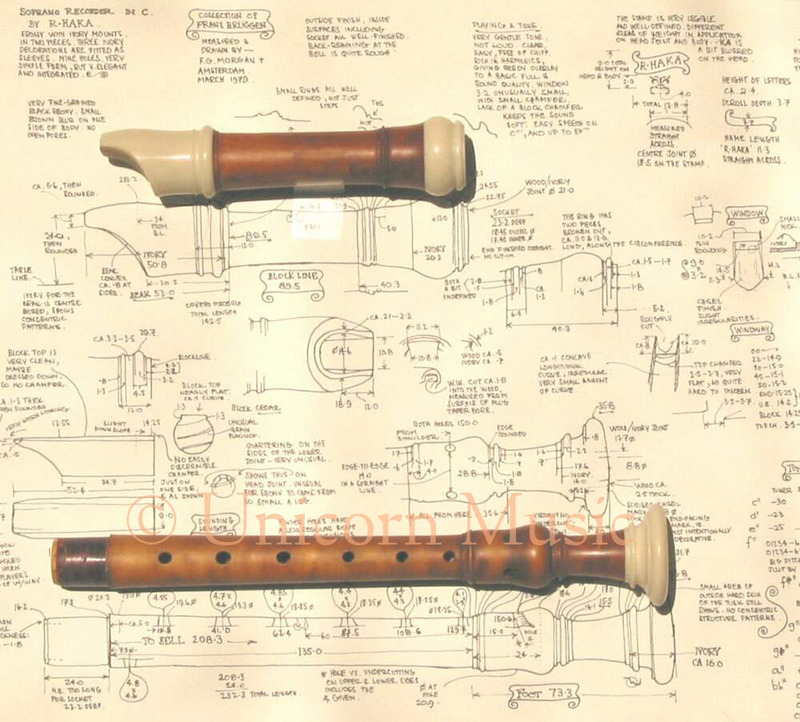 W. Beukers Sixth Flute - Washington, Dayton Miller Collection 1257 Sixth flutes are sopranos in d, an octave higher than the voice flute they are suitable for some English concertos as well as occasional French flute music with a low tessitura.